The Eleni Strappy Buckle Pumps offer a perfect smart-casual approach to flats. 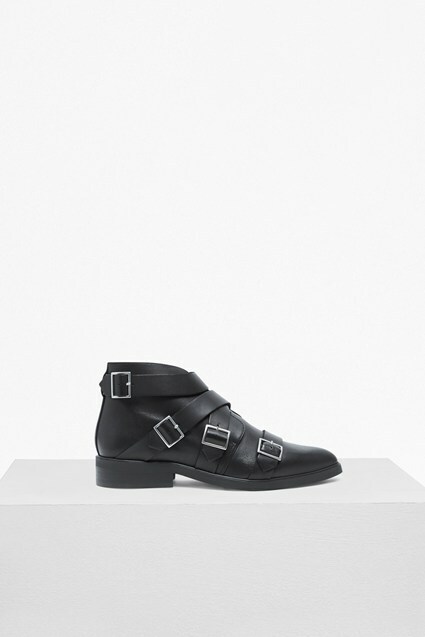 The simple black pumps are finished with four large buckles, adding edge to the understated round-toe shoes. Pair with off-duty denim and cotton t-shirts for a statement finish to a casual outfit.